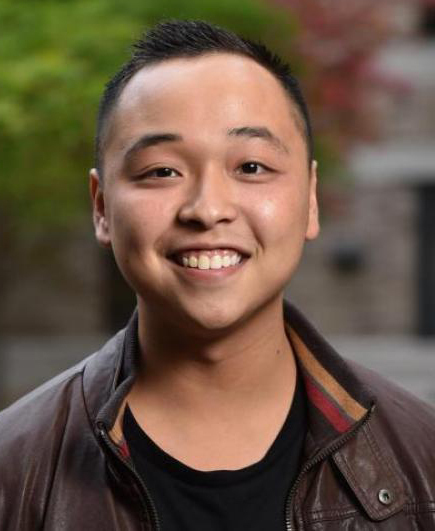 King Fok, a junior majoring in sociology and Arts and Letters pre-health with a minor in international development studies, has been awarded the 2016 Lord Acton Memorial Scholarship for his semester of study at Notre Dame’s London Global Gateway. Launched by the Association of American Study Abroad Programmes (AASAP/UK), the Lord Acton Memorial Scholarship rewards a “deserving student” who “demonstrates an understanding and appreciation of the value of an international educational experience.” Sir Joseph Pilling, honorary president of Association of American Study Abroad Programs in the UK, presented Fok with the award. Fok’s semester in London is his third experience abroad of the year. Over the summer, he traveled with the Texas Medical Mission to Peru, where he worked in a local clinic and hospital. He then spent five weeks in Ghana on an Experiencing the World Fellowship (ETW) from Notre Dame’s Kellogg Institute for International Studies, where he interviewed amputees and practitioners providing essential rehabilitative services in various regions of the country. The research is part of Fok’s ongoing work as a Kellogg International Scholar with Terence McDonnell, assistant professor of sociology and Kellogg faculty fellow, in which they are exploring the decision-making process of amputees to pursue rehabilitative services. Next summer, Fok is hoping to return to Ghana to work with the Orthopedic Training Centre while conducting research for his senior thesis in sociology and senior capstone project in international development studies.